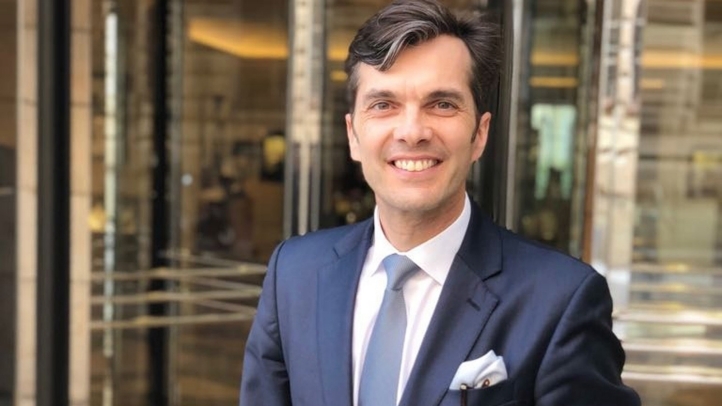 Prague, Czech Republic, 2018-Jun-29 — /Travel PR News/ — Four Seasons Hotel Prague announces the appointment of Stephane Gras as the new General Manager of the Hotel. Stephane has overseen the Hotel’s operations in his role as Hotel Manager for the past three years and is the natural choice to take the helm. Stephane brings a wealth of experience to his new role as General Manager, having worked in various positions and countries over almost two decades since joining Four Seasons Hotels and Resorts in 1999. Stephane honed his hospitality skills and gained extensive hotel experience with postings in Texas, California, Hawaii, New York and Cairo, as well as a first stint in Prague in 2007 as Director of Food and Beverage. Prior to arriving in Prague to take over as Hotel Manager, Stephane was Hotel Manager at Four Seasons Hotel Baku, where he played a key role in the opening of the property. Born in France, Stephane holds a university degree from École hôtelière de Lausanne in Switzerland. He speaks French and English. When not at work, Stephane spends his free time with his family and shares his great passion for art with his wife Ségolène. You might also find Stephane pushing himself on the golf course or tennis court as he tries to clear his mind, or else indulging his passion for classic cars by participating in historic car rallies. “It is a real honour to be leading such a prestigious hotel in the beautiful city of Prague, which I and my family have made our home for the past three years. I am looking forward to the new challenges of leading one of the flagship hotels of the Four Seasons Hotels and Resorts group, striving to meet our guests’ expectations and producing one of a kind events and activities around this Hotel that has become part of the city’s cultural and culinary fabric since its opening,” said Stephane. This entry was posted in Hospitality, Hotels, Travel, Travel Management, Travel Services and tagged Four Seasons Hotel Prague, Stephane Gras. Bookmark the permalink.